Kenji Williams is a genius. That is all there is to it. The idea of combining NASA photography and video from space with music and dance is sheer genius. 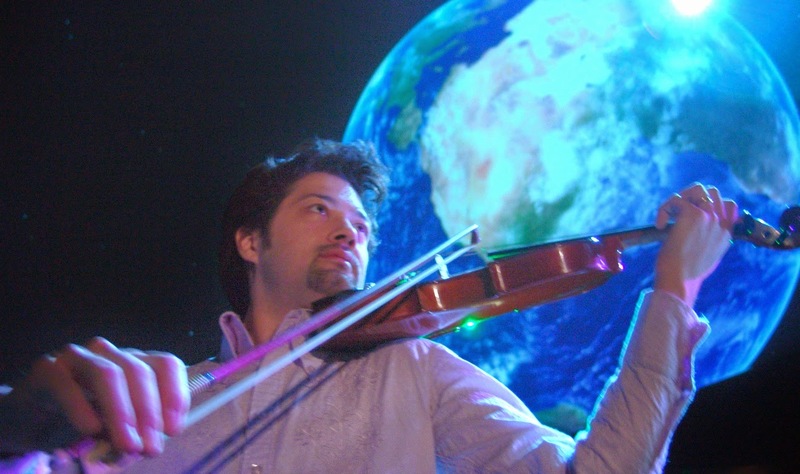 That's exactly what he did in creating the live performance known as Bella Gaia - "Beautiful Earth" now on its world tour. 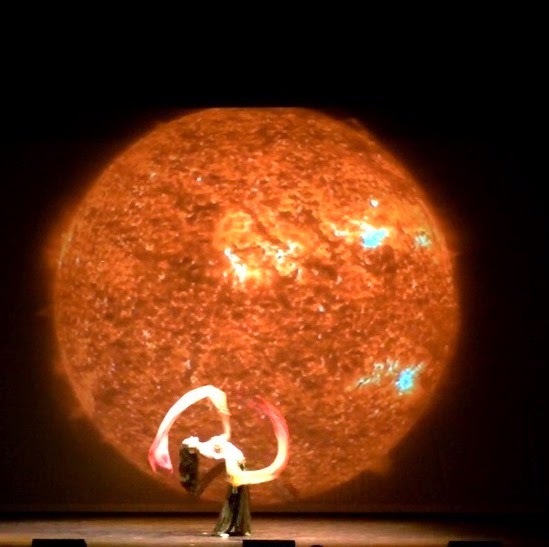 Bella Gaia shows how humans and nature are connected, and how art and science are connected while it explores the relationship between human civilization and our ecosystem through time and space in a music and dance performance like no other. The video is stunning, the music is mesmerizing, the dancers ad the costumes rival those of major city opera companies. Williams took time from preparations for his performance in Santa Barbara to talk with our LA correspondent Patrick O'Heffernan about Bella Gaia. R. Kenji, where did the idea to combine video from space with dance and music come from? KW. It started with a meeting with NASA astronaut, Mike Fincke, who lived on the International Space Station for a year. he told me that when he first looked out of the widow of the space station an saw earth, a glowing blue bubble of life in the blackness of space with the atmosphere just 20 miles thick he had complete transformation - a much greater appreciation for our habitable planet. I was so inspired by Mike's story that I decided to do the same transformative experience to those of us who cannot yet go to space. One thing led to another, NASA provide me with beautiful visuals of earth from space and I started to compose and perform to these complex data visualizations and now we perform in theaters and museums all over the world. R. Bella Gaia is a traveling show, like a band on tour? KW. Yes, the program audiences will see in Santa Barbara this weekend, and in other cities, is a spectacular 90 minute immerse journey from above earth, zooming into various countries and hearing and seeing the amazing art that humans produce, but also showing how humans and the earth are interconnected and how the earth sustains our life. And we have just complete a full dome movie which we are distributing to museums around the world. R. you have composed some wonderful music for Bella Gaia. What is happening on stage while musicians are playing? And who is your band? KW. I work with some of the most amazing musicians. 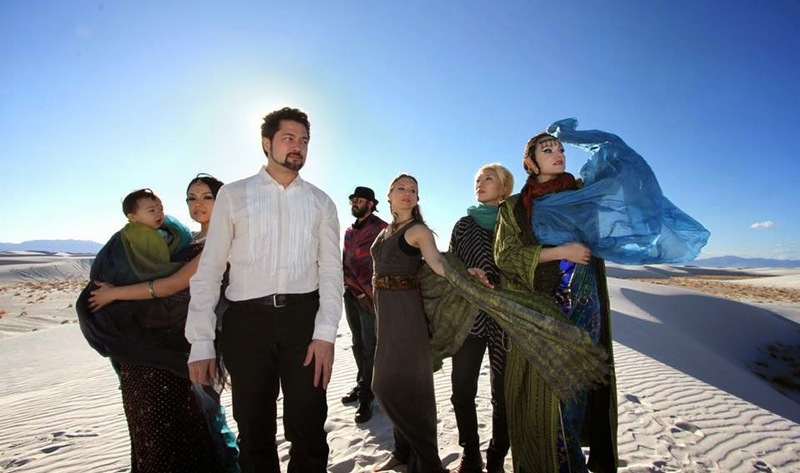 I play the violin, Deep Singh plays the tabla, Your Kurosawa plays the Koto - a twenty string harp - Kristin Hoffman is on keyboard and does the vocals, and Lefty EINaggar is on sax and the Egyptian Nay. On screen is one of our visualizations of the earth's systems, for instance, "Biosphere" - a visualization of the seasons of the earth from space. We are orbiting above California in this case and you can can see Central Valley of California, the rhythms from summer to winter in time lapse, the snow in Sierras and the color moving from green to brown, just pulsing as the season change. You can see the Earth actually breathing. There are no words in the show; it is almost totally music and visuals. later on the dancers come out from India and Egypt in magnificent costumes performing with the drums and the video - it is a fest for the eyes and ears. R. Do you customize the music for each show? KW. The show is designed in modules for flexibility. For the most part, we us e the same music although we can add, replace, shorten or expand segments, like when we go to Japan we expand it with local performances and local dancers. Bella Gaia keeps changing and evolving, and it customizable for the location. For Santa Barbara performance this weekend, we have inserted a satellite view of the city lights Southern California, I do this for every city. R. Have you ever been in space? KW. No, I hope to some day. but I did the next best thing. I jammed with an astronaut in space while I was on the ground. I conducted a live music jam with Koichi Wakata while he was orbiting in the Space Station while we were connected by video stream. I was in NASA studio - you can see the video here. R. You were playing your violin and he was playing the flute, is that correct? KW. He was playing the Sho, an ancient Japanese wind instrument - it is more like a harmonica - and I was playing my violin. We trained him before he left earth and we transported the Sho on a space X dragon rocket. It was very powerful because the Sho is the instrument that is used to tune the cosmos, so it has deep spiritual meaning. R. Do you compose all the music in Bella Gaia? KW. 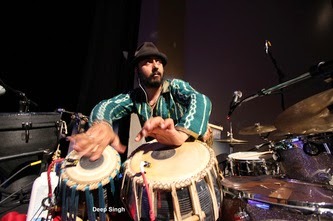 Yes, except the India-specific section, which Deep Singh composed, and the Japan specific section which are Yuni's composition. It is a very collaborative work. Of course the mind-blowing visualizations are from NASA. R. What is your background that has enabled you to create something with so many different instruments plus video and dance? KW. I play the violin, but that is about 1% of what i do. I am also a fill maker and I compose film soundtracks. 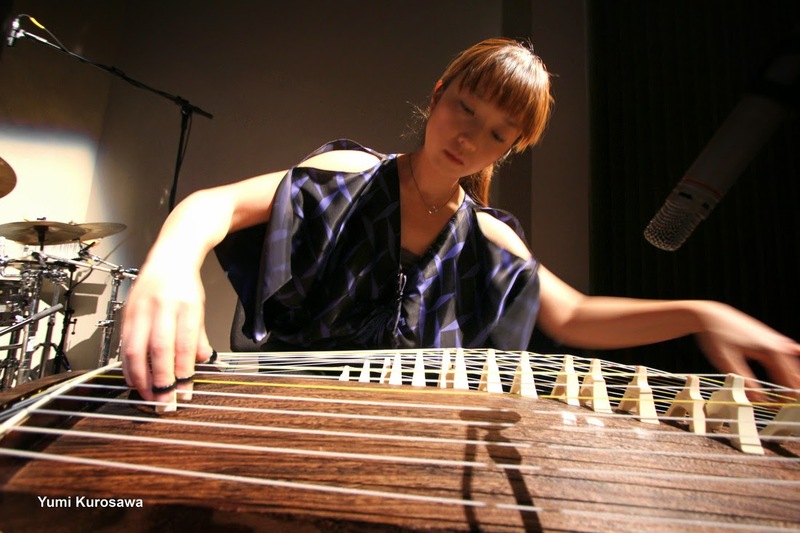 My compositional skills involved many instruments and collaborations with the many musicians. Sometimes a musician comes up with a melody or I come up with a melody ad we work on it; it is a collaborative effort. R. How did you start with an idea and grow it to a world tour? KW. It started with a feeling that i wanted to share Mike's vision of space. there was a series of lucky events. I started with just me and violin with a projector. I surveyed my audiences and asked them what would communicate this important message in a powerful way. I had to learn what worked and what didn't. The data visualizations turned out to be the most powerful elements according to surveys - things like seeing time lapse fires in Amazon or the melting of the pole or other changes in beautiful video. NASA was blown away by the performance and kept providing new content. It was collaborative and open space. Looking forward to their return. they are coming to NYC!